Credible is a free online personal loan brokerage service perfect for anyone with a high credit rating looking to consolidate debt, finance a major purchase, or open a business. Credible is an online loans broker that provides fast and free initial responses, ideal for anyone who needs a loan and doesn’t know where to start. It speeds up the process of hunting for a suitable personal loan by sending your application to multiple providers at the same time and running a soft credit check (which doesn’t affect your credit rating). Credible returns up to 6 preliminary loan offers so that you can easily compare your options and then contact the lender directly to complete the loan process. Borrowers with good credit scores who want to consolidate their debt. Credible requires a credit score of around 680 and up to qualify for its service, but the lowest APR of 4.99% - 35.99% makes it a potentially cost-effective way to consolidate all debt payments into one. Credible’s biggest draw is the speed of response. Completing multiple application forms asking for the same information, again and again, is draining and time-consuming, so being able to get responses in minutes from a number of lenders with just 1 application is a big plus. Unlike many loan broker services, Credible is transparent about its fees. You can use Credible to check up on loan offers for different amounts without harming your credit rating, which is useful if you aren’t yet sure how much you will need. With loan amounts ranging from $1,000 to $50,000, you can get useful loan offers whether you need to redo your home or just bridge a small gap till your next paycheck. Credible’s online application process is streamlined and straightforward and can be started by creating a password-protected account. Choose the personal loans option from the drop-down list and complete a 2-page online application. Credible asks about your education history and employment status, annual income, and credit score. You'll have to provide personal identifying information that includes your social security number, date of birth, and address and share how much you want to borrow and why. After receiving this information, Credible will carry out a short ‘soft credit’ check to verify your credit rating and identification details. These checks don’t affect your credit standing at all. Your credit result and application is then sent on to a number of loan companies. Within a few minutes, Credible returns up to 6 pre-qualification loan offers. You can compare vital features such as the APR, repayment terms, and requirements at a glance in a clear table, or click through to the website to get more details. Once you find a loan offer that suits you, visit the provider’s website to see if you like their terms and conditions. You’ll finish off the application process on the provider’s website. As a loan broker, Credible doesn’t extend specific loan terms. The lowest APR for personal loans via Credible is ranges from 4.99% - 35.99%. Loan amounts stretch from $1,000 to $50,000, making it a very flexible site for borrowers who aren’t yet sure what they need. Consumers should remember that terms can fluctuate even after you receive a pre-qualification offer. No loan terms are guaranteed until the lender has performed a hard credit check and confirmed that your application is accepted, so if you get a good loan offer you should act to secure it quickly. Again, repayment terms vary from lender to lender. The maximum repayment term via Credible is 5 years, with some terms as low as 24 months. This is a relatively short repayment term, which could be a problem for borrowers who want to spread their payments out further so as to pay less each month. Credible has a reputation for being trustworthy with your personal details, but they don’t bear any responsibility for the loan companies that might make you an offer. 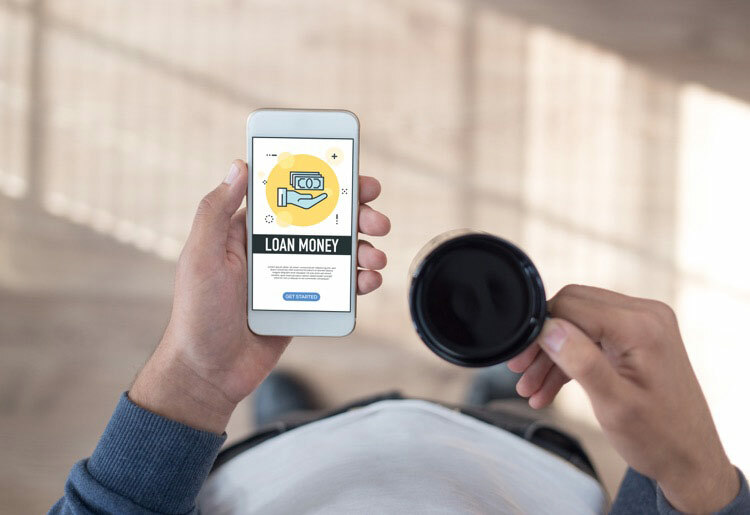 It’s up to the borrower to check out the prospective lending company thoroughly to make sure that they feel comfortable with their policies and approach. Credible’s website is clear and easy to move through, with an FAQ section that is simple to find. Their FAQs do not cover all the information you might like to know, such as what the requirements are for application, but they are well organized. We were pleased with their level of customer service; emails are replied to promptly and comprehensively, and they are careful about staying in touch to answer your questions. Credible has a fast telephone customer service team as well as online live chat. When compared to LendingTree, Credible has similar APRs but offers much higher maximum loan amounts. Credible can't compete with LendingTree's more flexible loan terms but if you have good credit you'll be able to take advantage of Credible's favorable rates. Monevo, another lending marketplace, offers very low minimum APR rates compared to Credible so it's a good option if you're looking for low monthly rates. However, you should really consider Credible if you're looking for consolidate debt quickly and you know that your credit score is up to scratch. How do I know if I'm eligible for a loan with Credible? Just fill out the quick and easy application form, and if you qualify you’ll instantly receive personalized, prequalified rates on your Credible Dashboard from all the partner lenders you qualify for. It doesn't cost anything. Using Credible is free and while its partner lenders do pay a fee, the fee does not impact the terms of your loan or the amount you pay the lender. Credible enables you to compare the student loan refinancing products from multiple lenders you qualify for side-by-side, based on all of the criteria that are important to you, like total repayment amount, APR, repayment options, and monthly payment. Credible has an overall 5-star rating on Trustpilot and is considered to be a reliable lender with a solid reputation. Credible is a fast and free online loan brokerage service which returns multiple pre-qualification personal loan offers for borrowers. Appreciated by many consumers for its swift response time and clear comparison tables, Credible is a useful tool for anyone with a high credit rating and a need to consolidate debt, finance a major purchase, or open a business. If you don't have good credit rating, you’ll need to look elsewhere.